At the 23-28 May World Health Assembly, there is an agenda item on this issue, but the week started with a document that is almost entirely bracketed – not agreed – and yet work on the document did not begin until this afternoon, just a day and a half before the meeting’s end. The relevant agenda item is Item 16.2- Follow-up to the report of the Consultative Expert Working Group on Research and Development: Financing and Coordination [CEWG] – Report on the open-ended meeting of Member States. The document is A69/40 [pdf]. The issue is being addressed in WHA Committee B (most Assembly agenda items are split among two committees). It came up briefly last night in order to form a drafting group that is meeting for the first time this afternoon. 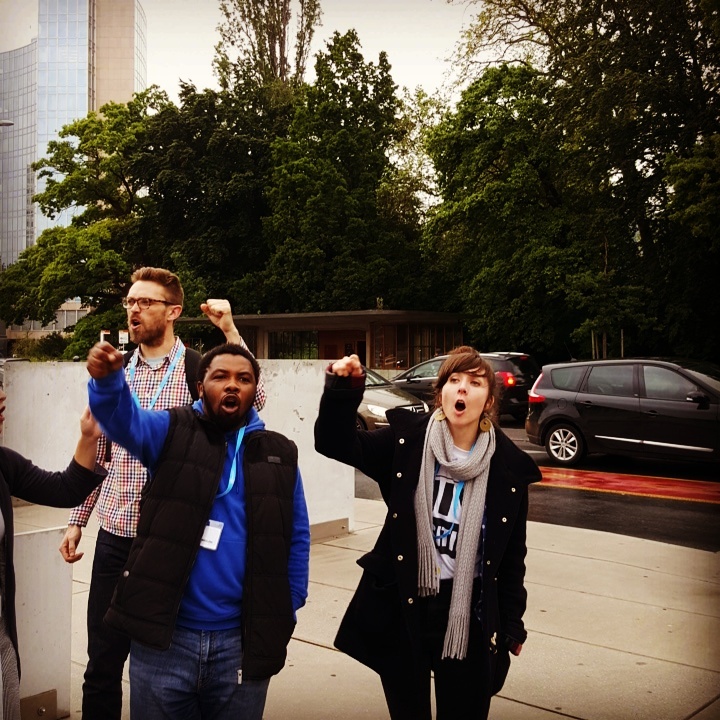 A protest was held at the Palais des Nations in front of the UN yesterday. A video from the protest is available here. A key issue within this discussion is an effort to de-link the price of medical products from the cost of the R&D in order to address global market failure for drugs that do not offer sufficient return on investment. Advocates today held a press briefing urging the importance of particularly continuing work on this issue at the WHO. Despite the annual World Health Assembly’s prominence as the biggest annual health policy meeting of governments, this issue has begun to rise up in a number of other venues, such as the Group of 7 meeting this week, the G20 next September, in national and regional governments such as the United States Congress and the European Union. Advocates in today’s briefing called out Europe and the United States for delaying progress on this issue at the WHO for years. Another place the issue has come up is at the UN Secretary-General’s High-Level Panel on Access to Medicines, which is working to finish a report on the issue as it relates to policy coherence by the end of June. Meanwhile, at this week’s WHA, issues of antimicrobial resistance and emergency response, including addressing diseases such as Zika and Ebola, have garnered enormous attention. A budget of $160 million was approved for a new operational focus of WHO on responding to emergencies. It remains to be seen whether an agreement can be reached on a resolution on CEWG at the WHA this week and what it will look like. 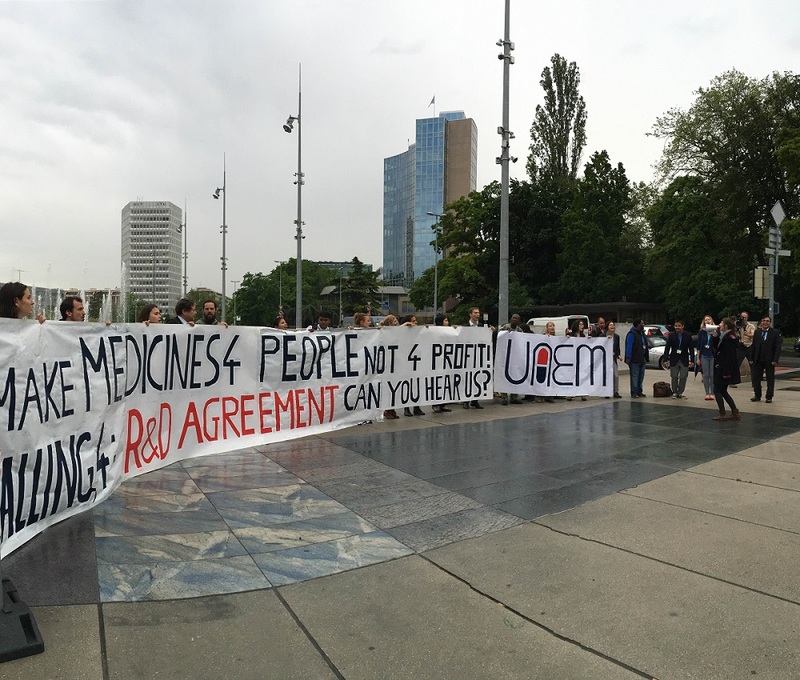 "Shift In Discussions About R&D At This Week’s World Health Assembly" by Intellectual Property Watch is licensed under a Creative Commons Attribution-NonCommercial-ShareAlike 4.0 International License.